I will make manually High Authority 22+.Edu and.Gov Links to Boost your Ranking. I will deliver on time.Edu and Gov So much Effective method to Bump rank on Google. b) White hat method will be used. c) I will make high-quality Edu and Gov Profile with a unique description. 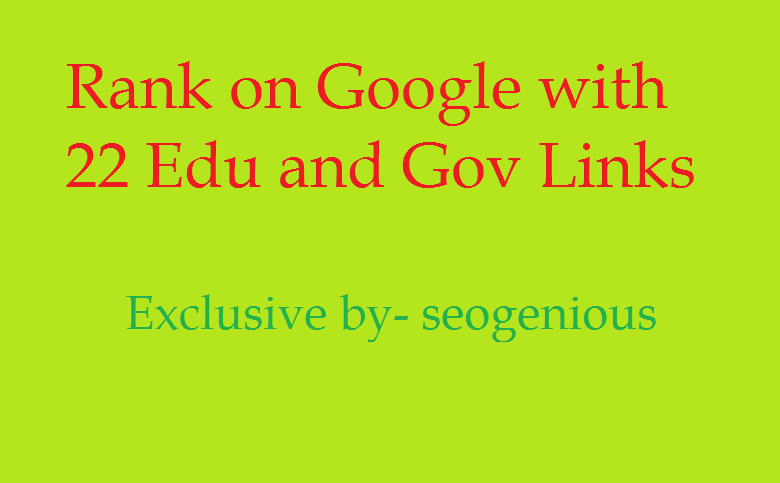 d) All Edu and Gov Link come from World TOP Domain. e) You will get all the login details. Special Bonus: I will do some Extra Bonus Links.